KANNAPOLIS, N.C. (April 21, 2016) – Tony Stewart has been cleared by his doctors and NASCAR to return to racing, effective immediately. He will drive the No. 14 Mobil 1 Advanced Fuel Economy Chevrolet SS fielded by Stewart-Haas Racing throughout this weekend’s NASCAR Sprint Cup Series event at Richmond (Va.) International Raceway. Stewart missed the first eight races of the season after sustaining a burst fracture of the L1 vertebra in a Jan. 31 all-terrain vehicle accident. The prescribed rehabilitation regimen instituted by his doctors following a March 9 evaluation proved successful, allowing the three-time series champion to return for his final Sprint Cup season. 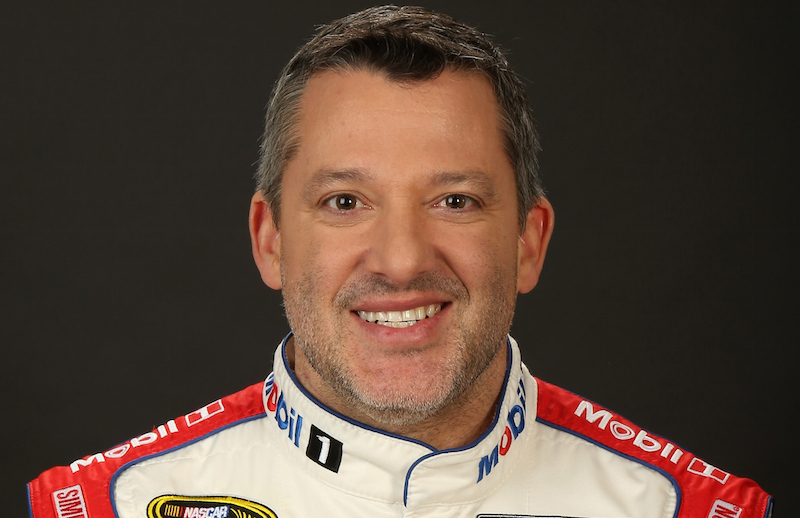 Following Richmond, Stewart will participate in a Goodyear tire test April 26-27 at Indianapolis Motor Speedway. He will then practice and qualify his No. 14 Bass Pro Shops/Tracker Boats Chevrolet in the Sprint Cup Series’ next event at Talladega (Ala.) Superspeedway. However, Stewart will only start the race before yielding the car to Ty Dillon, who split substitute driving duties this year with Brian Vickers. “We’re taking a strategic approach to my return,” Stewart said. “Richmond is a track where I feel very comfortable and because it’s a short track, the speeds are substantially less. The Goodyear test in Indy is sort of a controlled environment, allowing me to get more acclimated with my car at higher speeds. We’ll start the Talladega race to get the points, but understanding the style of racing and the higher potential of getting involved in an incident, we thought it was best to minimize the amount of time I’m in the car. I’ll return fulltime at Kansas and enjoy every moment I can in my final year of Sprint Cup. Richmond will mark Stewart’s 591st career Sprint Cup start. Thirty-three of those starts have come at Richmond, where Stewart has three wins, four second-place finishes, 11 top-fives, 19 top-10s and has led a total of 950 laps. Richmond is home to Stewart’s his first career Sprint Cup win, earned on Sept. 11, 1999 when he led 333 of 400 laps.